Why do we experience sound? Sounds are created within our brains, and the nerve systems of other life forms. The universe without life has absolutely no sound; it is merely a blob of absolute quietness. It is a completely subjective factor, as it is to see blue or to touch velvet. What we establish as ‘sound’ is therefore just a trick of our brain, something that lives purely within our subjective consciousness; our ears have the admirable capacity to recognize a spectrum of decibels of wavelengths and transform it into electric signals that are sent to our brains and transformed into a sensation of noise. This ability is an evolutionary factor that probably had as an advantage to allow life to protect itself from incoming danger, and to find potential mates. The experience of sound, in my still brief time in Bali, has also been giving me a great deal of personal insights. As I am located pretty much in the middle of an urban jungle, I have been admiring the different soundtracks played at day time – cockerels, birds, dogs, fish, cicadas (cockerels are great to wake you up for meditation practices at 5am, by the way!). It is fascinating to notice how the sounds significantly change as the sun sets. 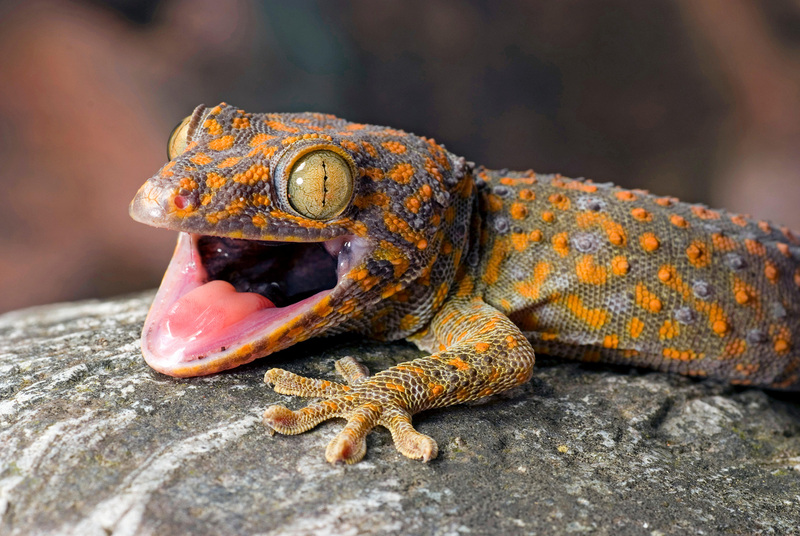 You hear a whole different set of cacophony: frogs, bats, the occasional night thunderstorms, many nocturnal creatures and, well, the very weird sound of my flatmate, a Tokay gecko. Tokays emit a eerie sound (check it out! ), which scared me in the middle of the night when I had no idea who they actually were. After a short but intense Googling, I discovered the culprit of the sound (isn’t Google scarily amazing for these weird tasks?). Tukee the Tokay (yup, he’s got a name now) wants to remind me who is the boss in my bungalow, as Tokays apparently make this sound to claim their territory. I noticed I was more sensitive to noises around me over the last few days, but this may be because I am experiencing many foreign sounds – the brain brings new sounds to consciousness much more than mundane ones. This is a logical factor of evolution – without conscious awareness, our brains stay lazy (ok… they stay efficient) and only notice the unknown sounds which may be a source of danger. This attentiveness to sound was a great helper for an experience I had yesterday. As I was starting my journey to the rice fields, my bungalow neighbor gave me a free ticket to a sound healing session in a place called Pyramyds of Chi. Intrigued, I decided to go for it, as it was at the end of my trail. As I entered the place, I encountered two massive pyramids made of metal. As you’re probably aware, pyramids are one of the forms of the golden ratio, or sacred geometry – a form found in every aspects of nature, the universe, and in the human body, even down to the DNA itself. They say at the site that it is also encountered in the harmonic structure of the wavelengths that generate sound. This offers a possible explanation to why humans have chosen this shape as a form of worship, burial, and sacrifice many times in isolation across the world. Once inside one of the pyramids, I saw many mattresses spread on the floor, some already occupied by a curious clientele. Many instruments from different ancient cultures were decorating the center of the room. Suntara, the instructor, gave information on how wavelengths from sound affect our bodies. It is not hard to believe – if you play any instrument close enough to water, it will vibrate, even if very minimally. Humans are made of water – in fact, 6o% of it. We have water in every single cell of our bodies. We also create wavelengths of our own that are created by the beating of the heart, the pulsation in our veins, the breathing in our lungs, and even the spasms in our digestive muscles. All of these ingredients offered me a powerful session inside that pyramid. The drums brought to the musical root of my South American background, strongly aligning with my heartbeat. Gongs gave me a trance-like feeling. The shake of the rattle very close to my ears gave me a extreme sensation of peace. To top it all, the magical voice of Suntara, the performer, connected deeply – deep sounds produced live by a human gave me a strong sentiment of belonging. No wonder live shows are infinitely better than headphones. Paradoxically, this experience brought silence within myself. For a period of time, it seemed to have brought me the quietness of the Universe I cited at the start of this text. I had a long walk home reflecting on the beautiful experience. I spent the rest of the day without talking to anyone, avoided stimulating my brain and had slept early. This experience of complete stillness will be imprinted within myself for a while. This is how I learned that sound can quieten your soul. About Nathalie: Nathalie Gil is a marketing strategist who quit her job and moved from being workaholic to lifeaholic. She is now rethinking her life strategy on a year sabbatical around the world and reporting it as she goes along. You can keep up with her on Lifeaholic (her blog) and on Instagram.